Implants and prostheses inserted into the bones and joints of the lower limbs, through joint replacement surgery, are helpful in the restoration of function in severely damaged joints. However, over many years, these artificial fixation devices can affect the shape and structure of the bone surrounding it, causing it to weaken and making it susceptible to breakage from even a low-energy fall. This rare condition is termed periprosthetic fracture and is associated with pain, limb-length inequality and deformity. The goals of management of a periprosthetic fracture are the same as for any fracture, i.e. restoration of the bones in the right position, getting you to walk soon after the procedure, and avoiding complications of disuse such as stiffness and osteoporosis. X-rays, both past and present, are necessary to evaluate the fracture and implant changes, and classify the fracture based on severity. 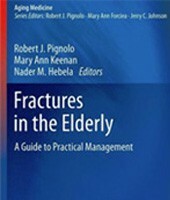 Stable periprosthetic fractures may be treated by immobilization with a cast or brace and minimal weight-bearing. Unstable periprosthetic fractures require surgical intervention. If the implant is firmly attached, an open reduction and internal fixation procedure is carried out by re-aligning the bone fragments and stabilizing them using screws and plates. 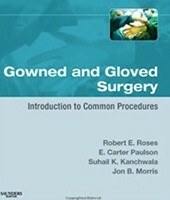 Bone grafts may be used to strengthen the weakened bone. If the implant is loose, your surgeon suggests joint revision surgery, where the implant is removed and replaced by a new prosthesis. Bone grafts may be used to strengthen the weakened bone, and a longer stem is used to secure the prosthesis deeper into the bone. Complications may arise as a result of poor bone quality (osteoporosis) causing re-fractures, dislocation, limb-length inequality and blood clots. Joint replacement is extremely helpful in the restoration of function and relief of pain in severely damaged joints. 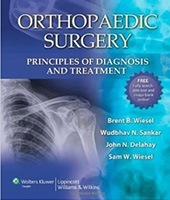 However, fractures can occur near or immediately adjacent to the joint replacement components. This occurs rarely and is called a periprosthetic fracture. Periprosthetic fracture can be very serious and may require surgery. The goals of management of a periprosthetic fracture are the same as for any fracture, i.e. restoration of the bones in the right position, getting you to walk soon after the procedure, and avoiding complications of disuse such as stiffness and osteoporosis. X-rays, both past and present, are necessary to evaluate the fracture and implant changes, and classify the fracture based on severity. 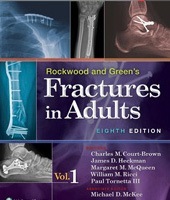 Stable periprosthetic fractures may be treated by immobilization with a cast or brace and minimal weight-bearing. Unstable periprosthetic fractures require surgical intervention. If the implant is firmly attached, an open reduction and internal fixation procedure is carried out by re-aligning the bone fragments and stabilizing them using screws and plates or nails. Bone grafts may be used to strengthen the weakened bone. If the implant is loose, your surgeon will recommend revision joint replacement surgery, where the implant is removed and replaced by a new prosthesis. Bone grafts may be used to strengthen the weakened bone, and a longer stem is used to secure the prosthesis deeper into the bone.